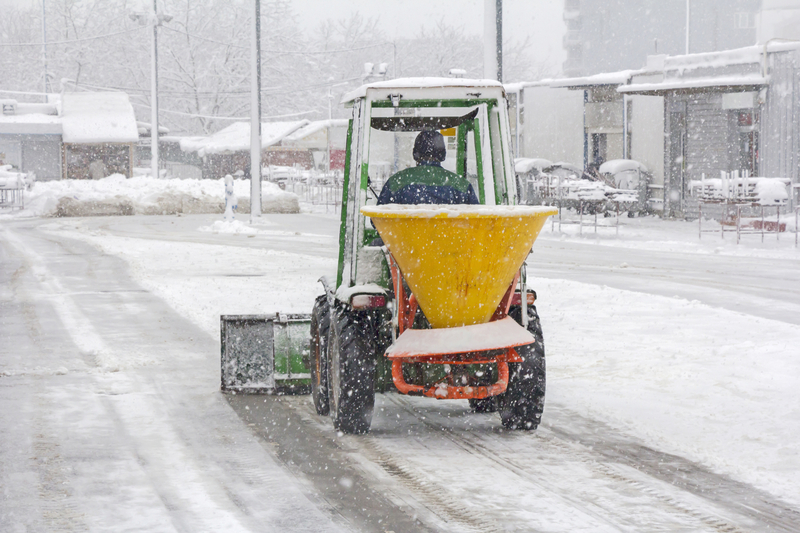 Every year, municipalities across the country depend on rock salt for deicing roads. However, earlier in 2018, many markets in the US experienced a shortage of the material, leaving many to remain concerned about the available supply for the upcoming season. While there certainly are obstacles slowing down the supply chain, proactive providers—such as Nordonia Landscape Supplies in Northeastern Ohio—have taken steps to monitor the market and keep stockpiles flexible. Dedicated to providing ample landscape materials to contractors and beyond, this salt distributor of Northfield, OH, is here to explain the causes behind this trend—and what can be done to stay prepared. Are We Running Out of Salt? Upon hearing the words “salt shortage,” it’s easy for people to feel like the resource is simply disappearing. However, the material is still abundant across the world, and the product is still viable. But while salt may be available, getting supplies to the US and regional markets remains complicated for several reasons. Salt distributors and buyers must take extra care to observe market trends and make purchasing decisions in advance to ensure they are prepared for the coming winter season. What’s Behind the Salt Shortage? Although salt may be available, it remains inaccessible to some markets due to several factors. For example, reports suggest that accumulation throughout the Midwest and Northern regions was heavier than expected this past winter. Many municipalities had to use more of their resources than they anticipated over a short period. This pattern caused the supply to bottleneck. In response to the high demand and low supply conditions, the price of salt has increased significantly. When the material becomes more expensive, markets with budgeting concerns may make conservative estimates on their supply needs to save money. How Can Buyers Avoid High Prices? The best way to avoid high prices—and low stockpiles—is to follow market patterns and buy when prices drop. For example, some may place bulk orders in the summer to avoid having to pay higher rates when demand is up in the winter. Unfortunately, not all those who need this material have enough warehouse space to store reserves. To work around this obstacle, form relationships with a local salt distributor that offers a clear pricing structure and abundant supplies. If you need bulk salt in Northern Ohio, market shortages don’t need to block your access to the material. Instead, turn to Nordonia Landscape Supplies for your materials. Located in Northfield, OH, this supplier is stocked with a variety of affordable products designed to fit many different needs—including bagged and sidewalk salt. In addition to providing reliable access to landscape materials, this salt distributor also offers same-day delivery within the area to ensure customers get orders when they need them most. Visit this provider online to learn more about their products, or call (330) 467-SALT to place an order. What Landscape Supplies Do You Need the Most?